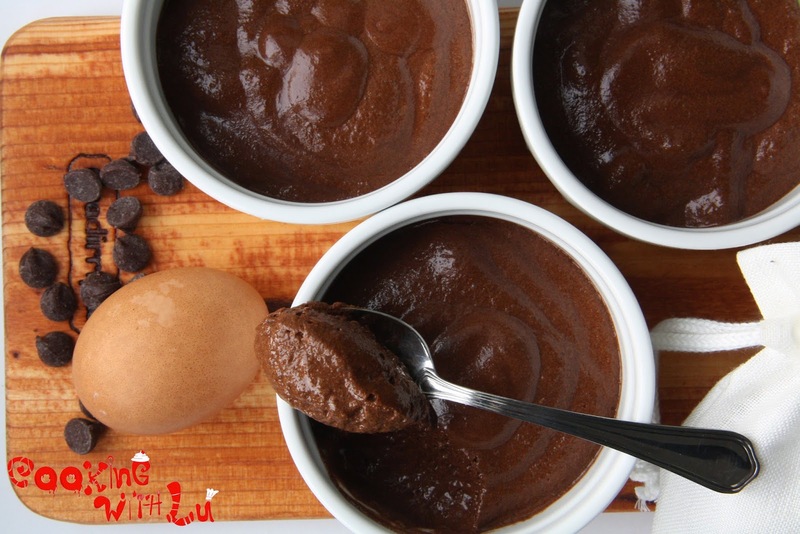 Cooking with Lu: Skinny chocolate mousse: 2 ingredients ONLY & 60kcal per serving! 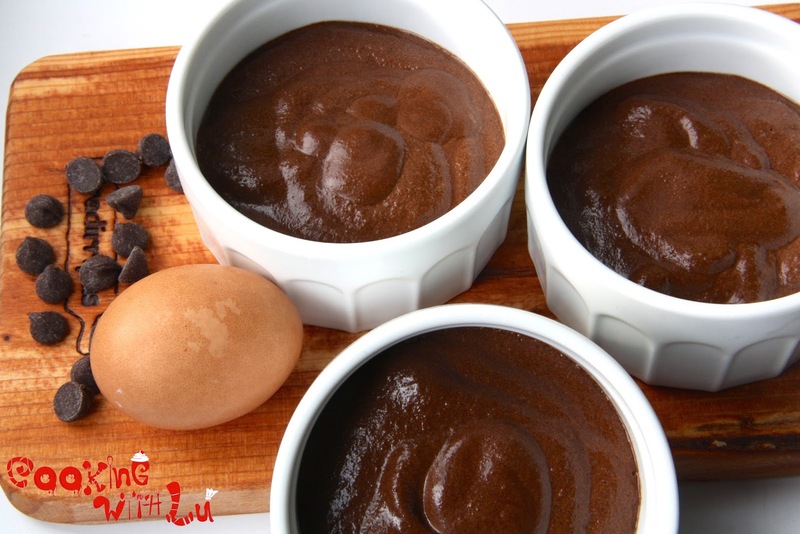 Skinny chocolate mousse: 2 ingredients ONLY & 60kcal per serving! My boyfriend LOVES chocolate mousse. He really does, it's his nr. 1 favorite dessert of all time, so I thought I'd come up with a recipe he can eat all he wants of and won't get obese afterwards... And this was the result. 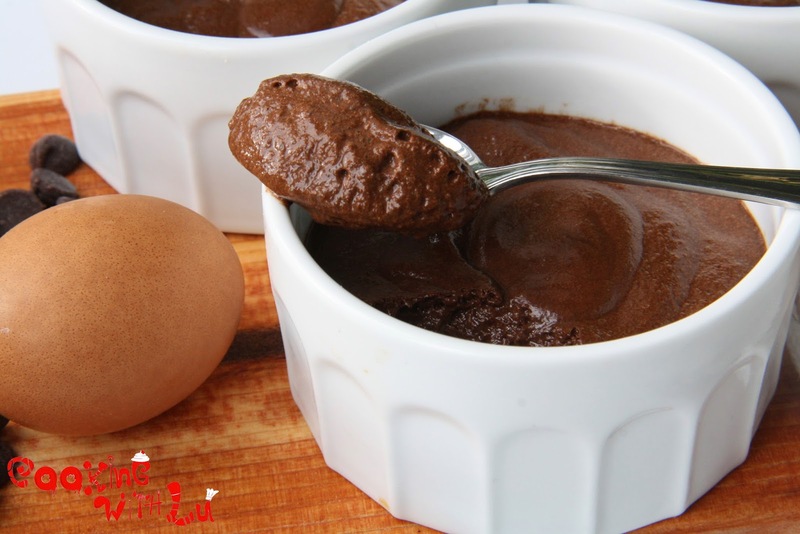 This consists of only 2 main ingredients and takes just about 15 minutes to prepare (+ at least 2 hours to refrigerate) and is definitely chocolaty and delicious and the texture is amazing! 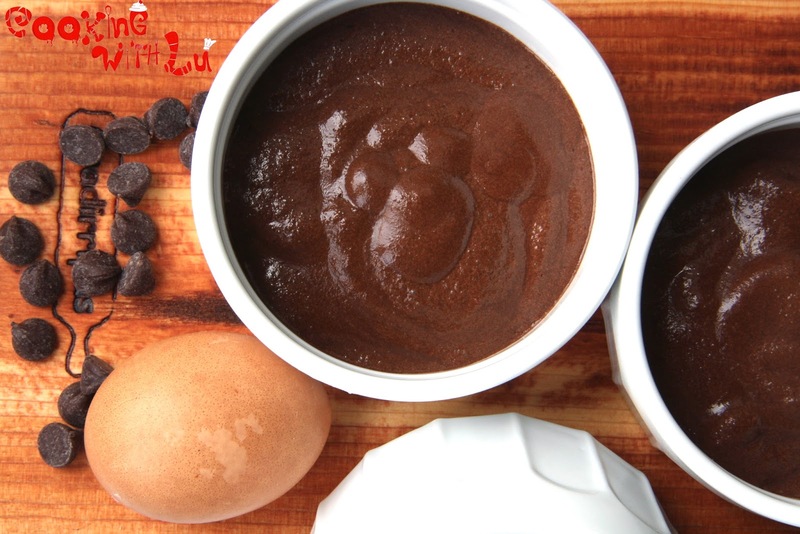 All you need are eggs & cocoa powder, period. 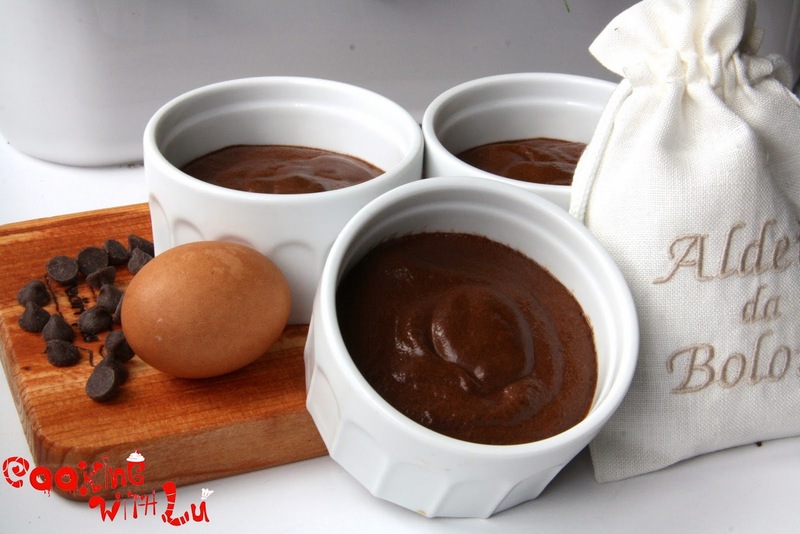 Then there's water and sweetener too but the main thing here are just eggs (1 yolk & 4 whites) and cocoa powder (I use dark because I like it better but you can use one to your liking, or even chocolate chips!). You won't be missing out on all the butter or heavy whipped cream chocolate mousse usually consists of because this is equally as chocolaty and the whipped egg whites give it that smooth but bubbly texture you are looking for in a mouse, and it's so simple! Here goes the recipe, try it out and let me know how you liked it! - Pour into 6 separate little bowls or into 1 big one and chill for at least 2 hours.